The Economic and Organized Crime Office(EOCO) has issued a warning to all artists signed onto Zylofon record label to return all the properties given to them by their boss Nana Appiah Mensah. 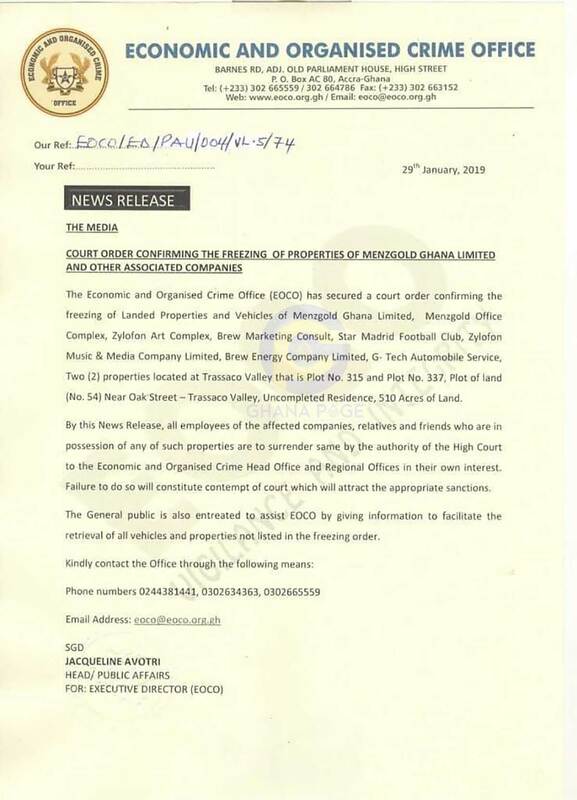 This development comes after EOCO obtained a court order to freeze every landed properties and companies belonging to Nana Appiah Mensah aka NAM 1 currently in custody at the United Arab Emirates (UAE). Gold dealership firm, MenzGold Ghana and other primary companies which Zylofon Music is a part is currently lagging due to a series of hurdles. All the difficulties began when security agents in the country and Bank of Ghana ordered the shut down of Menzgold when it came to their notice that the company has been operating in a manner of illegalities. The Chief Executive Officer (CEO) of the organization Nana Appiah Mensah after the sudden halt of the organization came on a difficult grounds to pay investments of his clients and their accrued interests leading to series of protests. 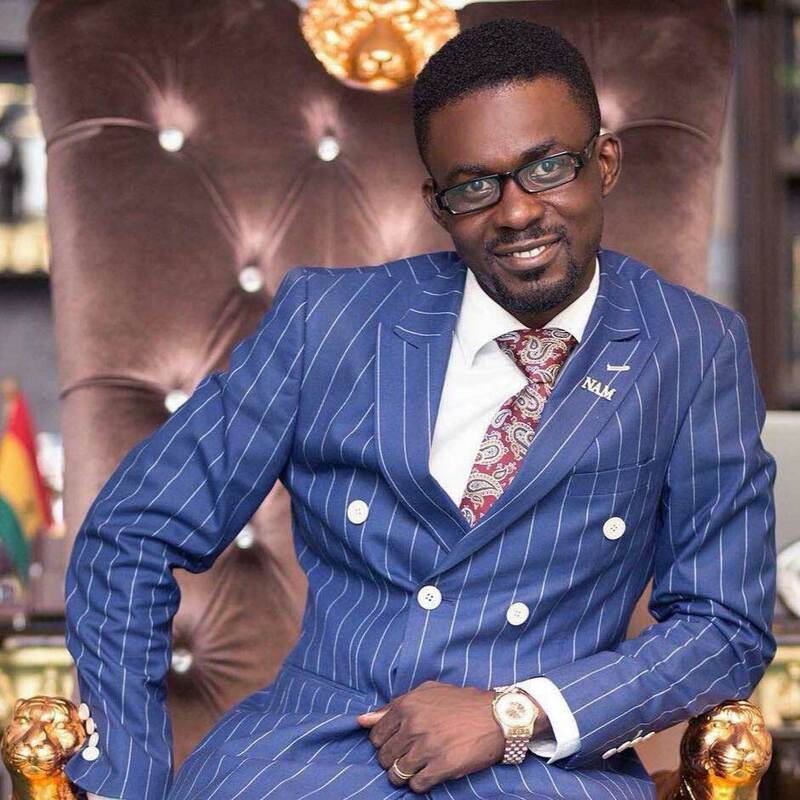 Nana Appiah Mensah aka NAM1 is believed to be currently in security custody in Dubai after it was alleged that he was also involved in a fraud case in the country. However, a statement released by EOCO on Tuesday 29th January 2019, indicated that the body has obtained an order from a court of competent jurisdiction to seize properties belonging to the business tycoon. The statement further warned employees of the organization to deliver to EOCO cars and other properties in their possession or have themselves to blame for any consequences what will happen if they fail to comply. In effect, artists such as Stonebwoy, Shatta Wale, Joyce Blessing, Kumi Guitar and actors like James Gardiner, Two Sweet Annan and others who have in their possession properties given to them by Nana Appiah Mensah’s Zylofon Media will have to release them to EOCO. Well, it’s not yet known if Zylofon TV and Radio will still be in operation after it has been seized by the government. MenzGold through Zylofon Media signed several artists who were been used for advertisement to lure people to trade with the supposed Gold Dealership company. These artists were given huge amount of monies, posh houses, and cars to assist their daily living and errands.